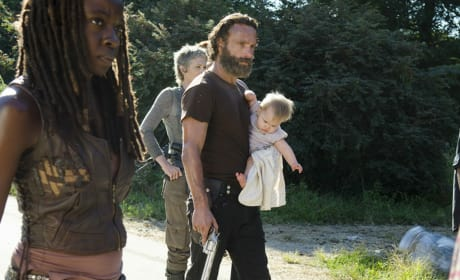 Rick has an important package to protect in this Walking Dead photo: his daughter. Can we trust Aaron? 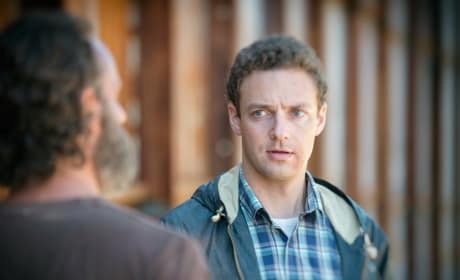 This is a photo of the character from The Walking Dead episode "Remember." 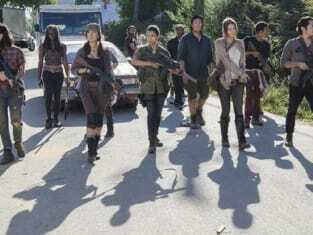 The Walking Dead survivors are in new surroundings in this still image. 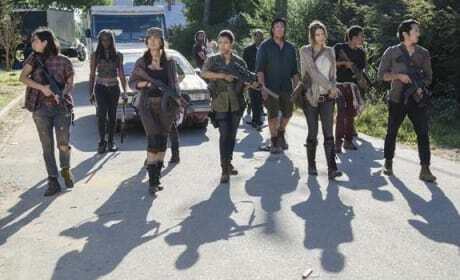 It is from the episode "Remember." It's all about survival now. Permalink: It's all about survival now. We'll make it work. If they can't make it, then we'll just take this place. Permalink: We'll make it work. If they can't make it, then we'll just take this place.